The Yarra Valley Chocolaterie Ice Cream Festival is something of a VIC legend. Using only the finest ingredients you are invited to a sample 12 yes you read that right, 12 samples of ice cream in one extraordinary 40 minute session. For just $20pp you’ll enjoy a 40 minute hosted tasting of 12 different ice cream flavours in our private tasting room – pre booking essential. Alternatively choose one or two scoops from a variety of 144 different artisan flavours crafted by the team of talented Chocolatiers on site. three locations; the Yarra Valley, Great Ocean Road and the Mornington Peninsula. For 12 indulgent days between 13 – 24 February 2019, a selection of exciting artisan flavours will be churned by teams of European Chocolatiers. 2019 Festival favourites will include Kombucha from China, Rubylicious from Africa, Moscow Mule from Russia, Aloe & Cucumber from Egypt and Champagne Cocktail from France. Meanwhile, a menu of limited edition ice cream desserts and sundaes that go beyond the pale will be on the Café menu at the Yarra Valley and Great Ocean Road Chocolateries throughout the 12 day extravaganza. Festival goers also have the chance to really taste their way around the globe with a ‘Trip Around the World’ prize up for grabs. 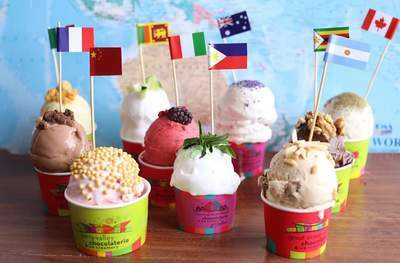 Every ice cream purchased during the festival provides an entry into the draw to WIN a ‘Round the World’ air ticket for one lucky visitor. 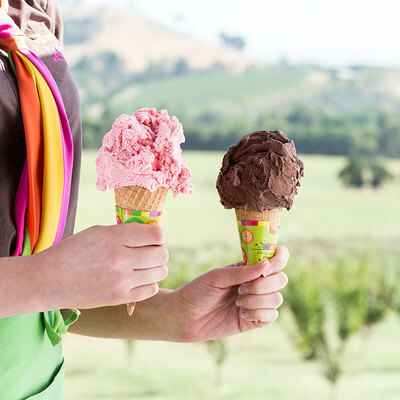 And best of all, we are giving away two tickets to attend the Ice Cream Festival at Yarra Valley Chocolaterie for free to one KidTown Melbourne reader. Keep an eye on our Facebook page for the announcement.